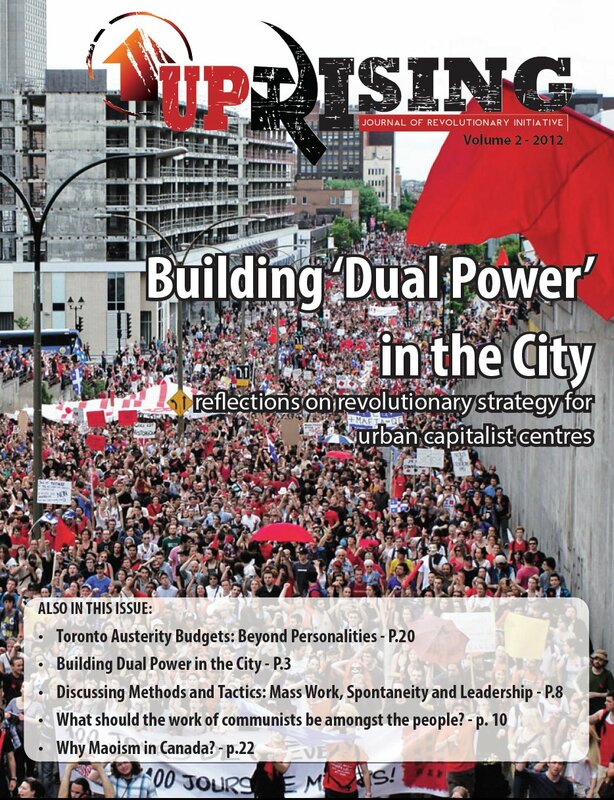 Click the image to open/download Uprising #8. 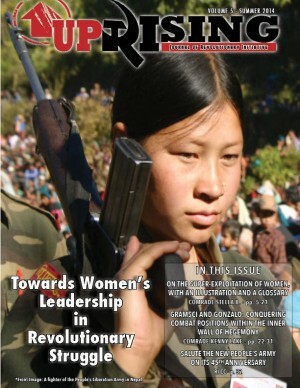 Issue #8 of Uprising marks a turning point in the development of our organization. This edition of our theoretical journal is a landmark that separates the end of a phase of internal struggle and rectification from the beginning — or resumption, rather — of party-building that is rooted in the proletarian masses. It is indeed a reaffirmation of the instincts that founded this organization to begin with, albeit with some new-found clarity on methods of work and a deeper understanding of the immense tasks that confront us. 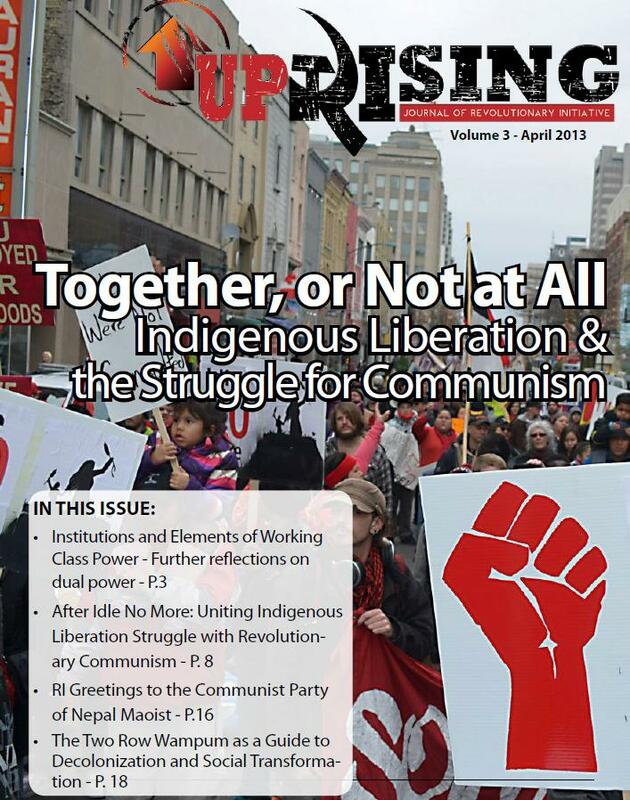 Since our founding in 2006, we have believed that a revolutionary communist organization cannot be constituted at a distance from the mass struggle, and this edition of Uprising signals our return to that point of departure. 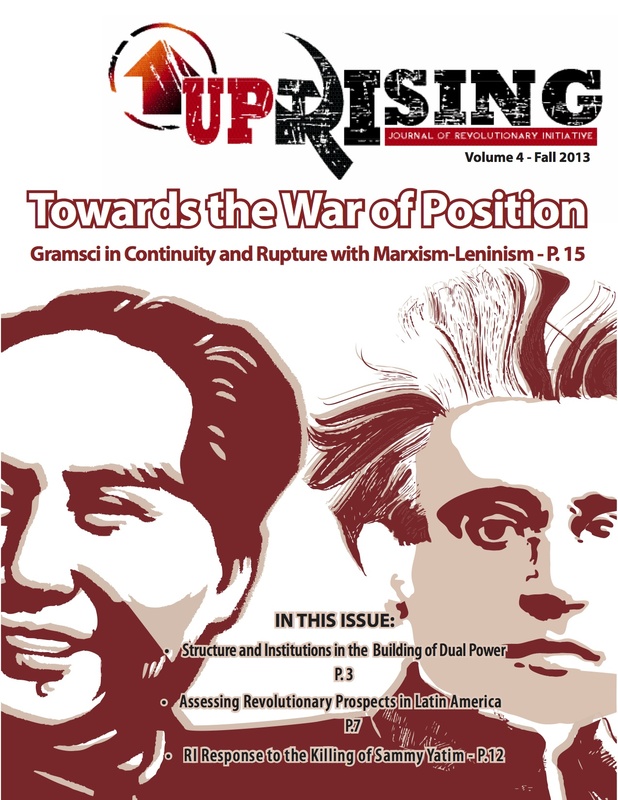 The pillars of Uprising #8 are, one, our ten year assessment, “Rectify and Reboot: A Critical Summation of RI’s Ten Years of Party-Building,” and two, the main document to have emerged from our rectification process, “Communist Leadership, Mass Work, and Building Power.” There’s no more that needs to be said about these documents in this introduction other than their significance to our organization’s development. 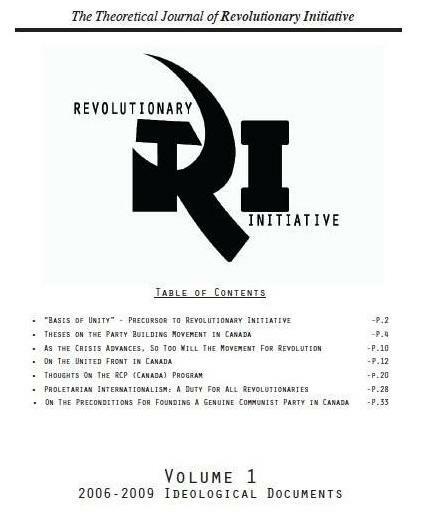 We have also included Comrade Anna’s “How RI’s Mass Work Made Me a Better Revolutionary Communist,” which although written nearly two years ago, gives our readers an eye into the subjective situation of comrades in our organization as we had just began to reground our party-building in the proletarian masses. Finally, also included in this issue is the long-overdue continuation of Kenny Lake’s series “Specter that Still Haunts” series. Part II of that project, “Things Done Changed,” is published here in Issue #8, with Parts III and IV long-ago written and appear very shortly on our website and to be published in the forthcoming issues of Uprising. …among others. So stay tuned. And write us with your thoughts and contributions at revintcan@gmail.com. Uprising has always been and remains open to any and all theoretical contributions that can push our revolutionary struggle forward.